Whether work, family, or a simple change of scenery is your reason for moving from NJ to Wichita, the entire process is simplified when you work with a professional moving provider. Since 1977, Simonik Moving & Storage has been the BBB-accredited business that area residents have trusted for superior service and high-quality relocation solutions. 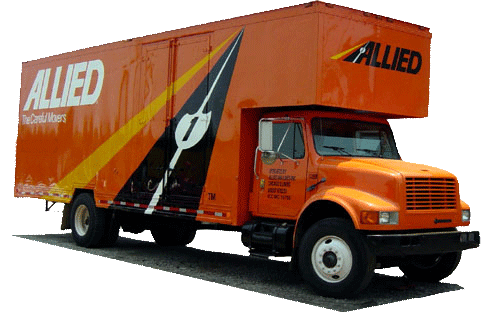 We’re proud to be an award-winning agent of prestigious Allied Van Lines, and through this affiliation, we are connected with a nationwide network of moving and storage experts that can handle household moves of any size—anywhere within the United States. The provider that you choose to handle your next move should be able to efficiently coordinate all the details of your project—whether you have a small apartment or are relocating a large family estate. That’s what you will find when moving to Wichita from New Jersey with Simonik, and we’ll send one of our experts out to you for a free, written estimate of your moving costs. From there, you’ll work directly with a Relocation Coordinator who will be with you every step of the way to help you navigate the moving process. At Simonik, we understand that storage is often necessary when completing a New Jersey to Wichita move, and we offer short- and long-term options in fully secured warehouse facilities. To ensure the safety of your household items, we carefully pack and store them in durable containers that are specifically designed for long-distance shipping—giving you the confidence you need knowing that your valued belongings will remain safe and protected. Simonik is proud to be a past recipient of the “Mover of the Year” award from the New Jersey Warehousemen & Movers Association, as well as a ProMover member of the American Moving & Storage Association. With these recognitions, we lead the industry in providing streamlined, quality service for moving from NJ to Wichita. We provide services throughout North and Central Jersey, including in Hunterdon, Mercer, Middlesex, Monmouth, Morris and Somerset counties, and you can count on our experts to be fully up-to-date on any special requirements that are associated with completing a successful long-distance move. When it comes to professional NJ to Wichita moving companies, Simonik Moving & Storage is the trusted choice for affordable and expert service—wherever life takes you! To learn more about the services that we offer for long-distance moving, give us a call. You can also request a free, no-obligation estimate and consultation today by filling out our simple, online quote form.